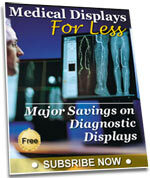 The first FDA cleared 5M color display for digital mammography. All in one solution for multi modality visualization. Stable luminance with brightness feedback system.